What can you do if your favourite felines are using your furniture to scratch? 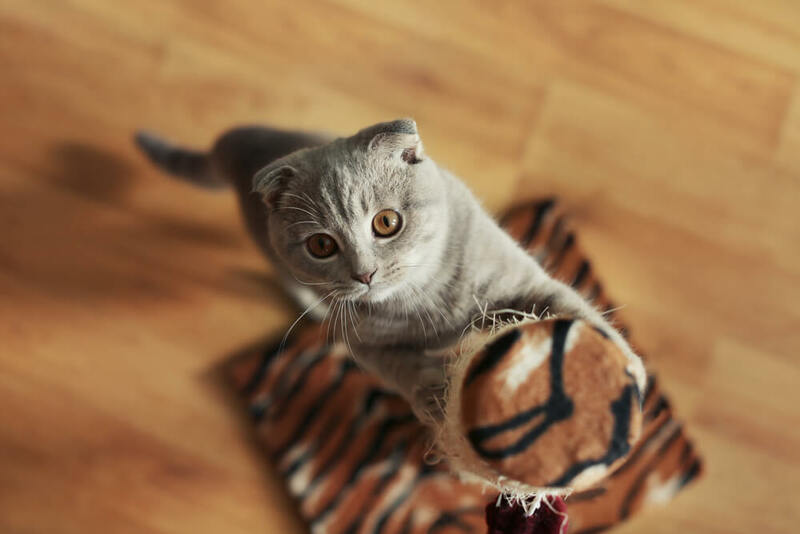 Scratching posts, redirection, play and more are all good ways to move your cat away from the sofa. Of course, it’s not their fault. Scratching is a natural part of every cat’s daily routine and is used to stretch, mark territory, exercise and keep claws in shape. By getting your cat used to nail clipping, you will also be able to take a look at their paws every once in a while, to make sure everything is going great under their pads. So how can you redirect this behaviour to a more appropriate spot? To stop your cat from marking the furniture it’s important to provide scratching posts - at least one per cat as kitties don’t like to share scratching spots! Of course, simply having a post does not guarantee your cat will use it. Sometimes our purrfect pals can be a little picky! To give your scratching post the best chance of kitty approval, be sure to think about the location and type of post you choose. Is it high enough, sturdy enough, or the right material? Is it near to where your cat already likes to scratch? These are all important for a scratching post to appeal, so be sure to consider your cat’s preferences! 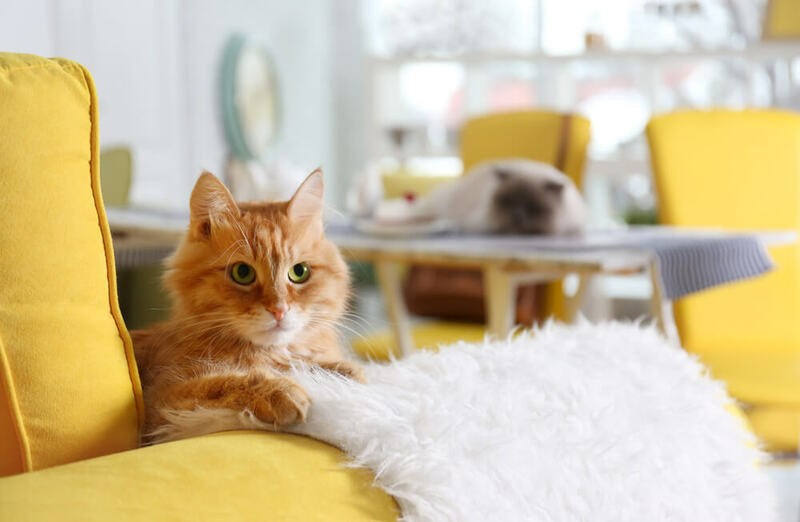 With a little love, help, patience, and encouragement, the tips above should convince your kitties to move away from the furniture, and to a better scratching location. To give your cat a little extra support, you can also redirect bad scratching behaviour with FELISCRATCH by FELIWAY. Applied to your cat’s scratching post, FELISCRATCH sends both visual and invisible territory messages to your furbabies to encourage them to scratch there - and is clinically proven to reduce decrease inappropriate scratching, and save your furniture!